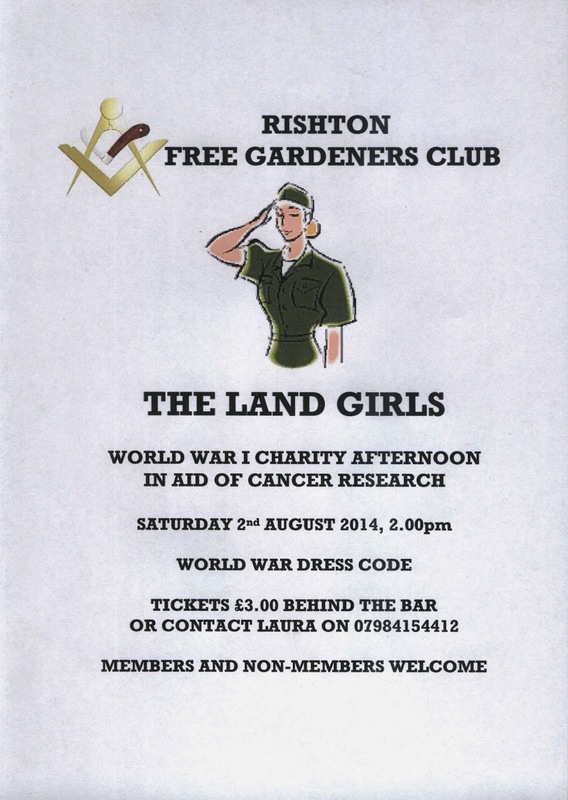 A charity afternoon in aid of Cancer Research has been organised at the Rishton Free Gardeners Club on Saturday 2nd August. The event will feature a show by The Land Girls, a period-themed song and dance troupe with World War I era music. Tickets are on sale priced £3 and can be purchased either behind the bar at the club or by contacting Laura on 07984154412. The event starts at 2.00pm and fancy dress from the period is encouraged!